Bartlett Brook is one of five stormwater impaired waterbodies in South Burlington. Portions of the stream located downstream of Pheasant Way, Quail Run, Keari Lane, and Bay Crest Drive have experienced significant erosion from uncontrolled stormwater runoff. The City is in the process of designing and constructing projects with the potential to reduce flows in Bartlett Brook, restore the Brook to health, and satisfy requirements in the City’s MS4 permit. The Bartlett Brook Central (BBC) project was first identified over a decade ago as part of the Watershed Improvement Permits (WIPs) and has remained a high priority for the restoration of Bartlett Brook since that time. 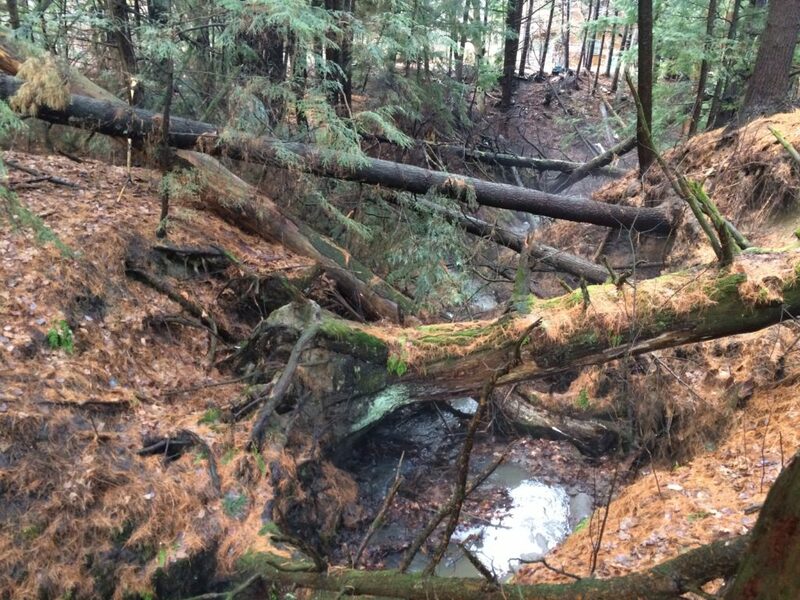 Erosion in Bartlett Brook downstream of the project location. Route 7 area. 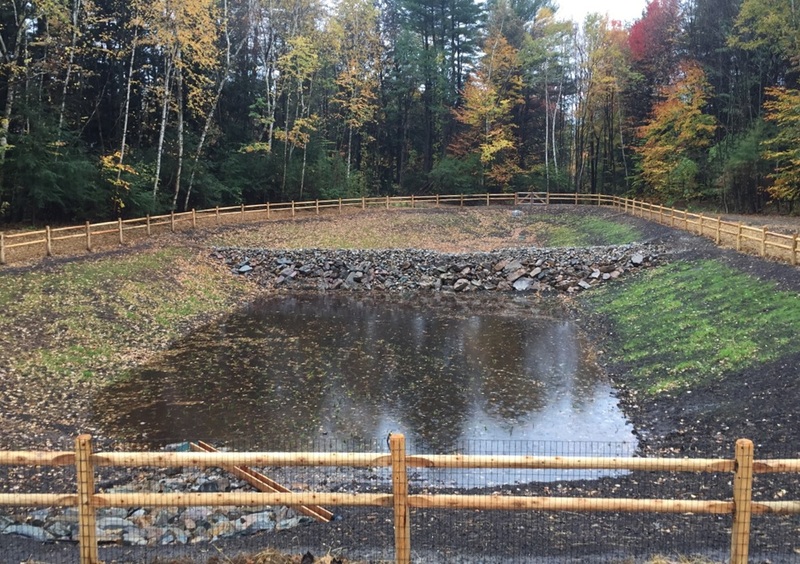 Through the final design process of the project, the City selected implementation of a stormwater gravel wetland in order to provide flow reduction to Bartlett Brook, as well as reduce phosphorous loading to Lake Champlain. The project collects and provides treatment for runoff from a 70.7 acre drainage area, consisting of 16.4 acres of impervious roads, rooftops and driveways. The subsurface gravel wetland reduces the amount of sediment and nutrients flowing to Lake Champlain, including an estimated 36 lbs of phosphorus per year. In addition, the stormwater runoff is detained and slowly released to prevent erosion of streambanks and reduce the risk of downstream flooding. Peak flows during the 1-year, 24-hour period are reduces from 8.41 cfs to 0.95 cfs, an 88% peak flow reduction. Construction of the gravel wetland and drainage system was completed in 2017.